A set of recent papers, many of which draw on data from NASA's Cassini spacecraft, reveal new details in the emerging picture of how Saturn's moon Titan shifts with the seasons and even throughout the day. The papers, published in the journal Planetary and Space Science in a special issue titled "Titan through Time", show how this largest moon of Saturn is a cousin - though a very peculiar cousin - of Earth. 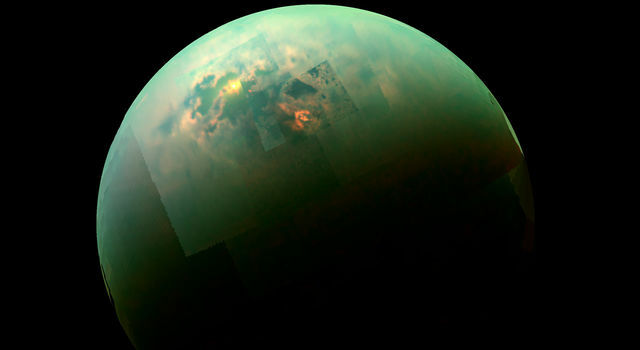 "As a whole, these papers give us some new pieces in the jigsaw puzzle that is Titan," said Conor Nixon, a Cassini team scientist at the NASA Goddard Space Flight Center, Greenbelt, Md., who co-edited the special issue with Ralph Lorenz, a Cassini team scientist based at the Johns Hopkins University Applied Physics Laboratory, Laurel, Md. "They show us in detail how Titan's atmosphere and surface behave like Earth's - with clouds, rainfall, river valleys and lakes. They show us that the seasons change, too, on Titan, although in unexpected ways." A paper led by Stephane Le Mouelic, a Cassini team associate at the French National Center for Scientific Research (CNRS) at the University of Nantes, highlights the kind of seasonal changes that occur at Titan with a set of the best looks yet at the vast north polar cloud. A newly published selection of images - made from data collected by Cassini's visual and infrared mapping spectrometer over five years - shows how the cloud thinned out and retreated as winter turned to spring in the northern hemisphere. Cassini first detected the cloud, which scientists think is composed of ethane, shortly after its arrival in the Saturn system in 2004. 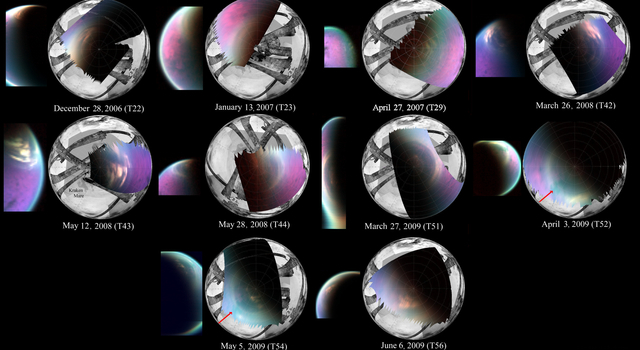 The first really good opportunity for the spectrometer to observe the half-lit north pole occurred on December 2006. At that time, the cloud appeared to cover the north pole completely down to about 55 degrees north latitude. But in the 2009 images, the cloud cover had so many gaps it unveiled to Cassini's view the hydrocarbon sea known as Kraken Mare and surrounding lakes. "Snapshot by snapshot, these images give Cassini scientists concrete evidence that Titan's atmosphere changes with the seasons," said Le Mouelic. "We can't wait to see more of the surface, in particular in the northern land of lakes and seas." In data gathered by Cassini's composite infrared mapping spectrometer to analyze temperatures on Titan's surface, not only did scientists see seasonal change on Titan, but they also saw day-to-night surface temperature changes for the first time. The paper, led by Valeria Cottini, a Cassini associate based at Goddard, used data collected at a wavelength that penetrated through Titan's thick haze to see the moon's surface. Like Earth, the surface temperature of Titan, which is usually in the chilly mid-90 kelvins (around minus 288 degrees Fahrenheit), was significantly warmer in the late afternoon than around dawn. "While the temperature difference - 1.5 kelvins - is smaller than what we're used to on Earth, the finding still shows that Titan's surface behaves in ways familiar to us earthlings," Cottini said. 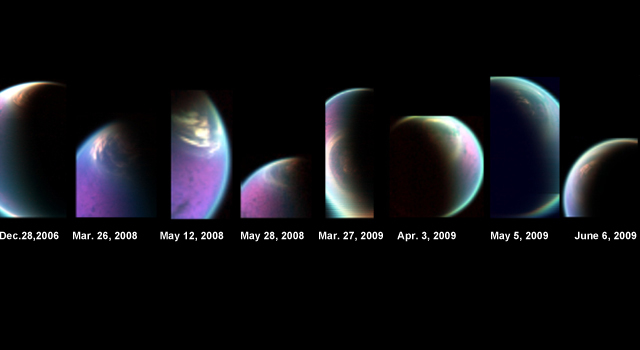 "We now see how the long Titan day (about 16 Earth days) reveals itself through the clouds." A third paper by Dominic Fortes, an outside researcher based at University College London, England, addresses the long-standing mystery of the structure of Titan's interior and its relationship to the strikingly Earth-like range of geologic features seen on the surface. Fortes constructed an array of models of Titan's interior and compared these with newly acquired data from Cassini's radio science experiment. The work shows the moon's interior is partly or possibly even fully differentiated. This means that the core is denser than outer parts of the moon, although less dense than expected. This may be because the core still contains a large amount of ice or because the rocks have reacted with water to form low-density minerals. Earth and other terrestrial planets are fully differentiated and have a dense iron core. 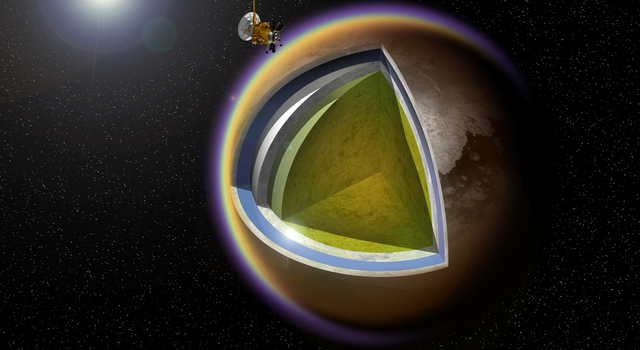 Fortes' model, however, rules out a metallic core inside Titan and agrees with Cassini magnetometer data that suggests a relatively cool and wet rocky interior. 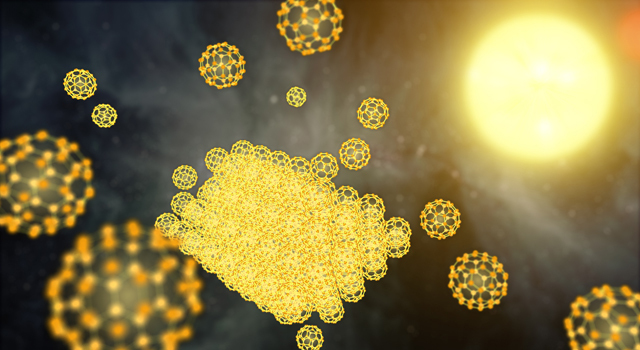 The new model also highlights the difficulty in explaining the presence of important gases in Titan's atmosphere, such as methane and argon-40, since they do not appear to be able to escape from the core. The Cassini-Huygens mission is a cooperative project of NASA, the European Space Agency and the Italian Space Agency. 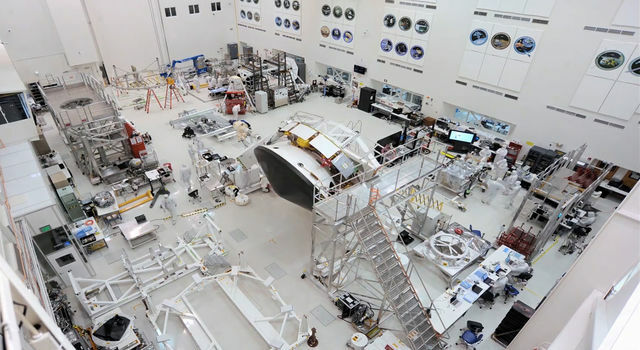 NASA's Jet Propulsion Laboratory manages the mission for NASA's Science Mission Directorate, Washington, D.C. 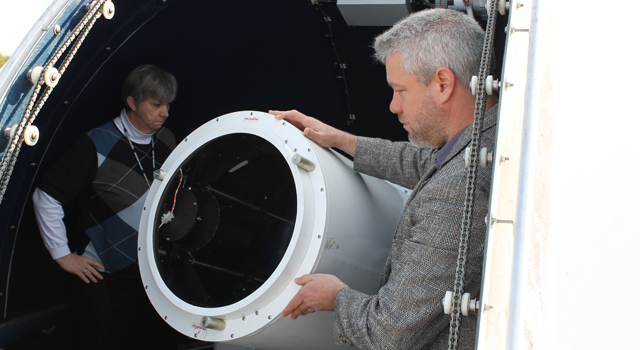 The visual and infrared mapping spectrometer team is based at the University of Arizona, Tucson. The composite infrared spectrometer team is based at NASA's Goddard Space Flight Center in Greenbelt, Md., where the instrument was built. The radio science subsystem has been jointly developed by NASA and the Italian Space Agency.